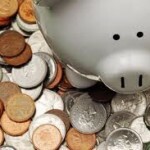 Assessing Your Current Financial Situation: Are You Ready for a Home? Buying a home involves more than just affording the down payment and closing costs. Your lender needs assurances that you will be able to pay your mortgage on time each month and that you won’t default in the future. Assessing your current financial situation will not only help you determine if your lender will approve your mortgage loan, but will also help you find out if you are ready to buy a home. Being a home owner has many benefits, but it is also requires sacrifices and it is very expensive. If you are not careful, you might have an unpleasant surprise when your lender denies your application or, even worse, you realize that you can’t actually afford to own a home after you have made the down payment. Your financial situation involves more than just having some money saved up when thinking of becoming a home owner. Your credit score, your income, the assets that you own, and your current debt are all very important factors of your financial situation. These factors can decide if you will receive the mortgage loan and can also help you decide if this is the perfect time to buy a home, or wait a while longer. Your credit score will help your lender determine how big of a default risk you are. Based on your score, they will decide whether to give you the mortgage loan or not. Your interest rate will be largely dependent on what range your credit score falls in. Those attractive interest rates that lenders advertise are generally reserved for those with perfect credit scores. Perfect credit scores are obtained over a longer period of time, and are affected by factors such as the punctuality of your payments, your total debt related to the total credit available, and the types of credit that you are using. High credit scores mean lower interest rates, which save you thousands or more in the long run. Knowing how much you own before and after taxes is very important when you assess your current financial situation. Your lender will also want to see documents that show how much you make each month in order to find out if you can afford a mortgage. If you are self-employed, you will more than likely have to show additional documentation that proves your income. It is always a great idea to have all of the paperwork completed before applying for the mortgage just to speed things up a little. Another factor that must be taken into consideration when assessing your current financial situation is the value of all your assets. Your savings, investments, and tangible property are all considered assets. It might be a bit difficult to determine how much each asset is worth, but it is recommended to underestimate an asset’s value rather than to overestimate it. Credit cards, mortgages, and other loans, like car loans or school tuition, are all debt that must be considered when assessing your financial situation. Your lender will also be interested in this information, because typically lenders require a certain ratio between your income and debt. If your total debt, including your new mortgage, is more than 40 percent of your income, you might encounter problems when applying for a mortgage loan. You can only find out if you are ready for a home if you assess your current financial situation. Not doing so can result in your inability to secure or pay off your mortgage loan, which will make your life much harder. Spending time and money only to be refused by your lender or buying a home that you can’t afford can be avoided by doing a little research into your financial situation and finding out if you are truly ready to become a home owner. Thinking of Buying a Home? Ask Yourself These Questions First! Low home prices and interest rates might seem very attractive to you, and you might want to buy a home before these prices and rates start going up. However, your financial situation might make it difficult for you to buy a home at the advertised price, while paying a low interest rate. Interest rates that are advertised by lenders are usually reserved for home buyers with stellar credit score, so you might end up paying significantly more on your loan than you were expecting to. Many first-time home buyers are so blinded by the low interest offers advertised by lenders, that they forget all about the large down payment needed in order to avoid paying for Private Mortgage Insurance, and about the fact that their credit score will have a big impact on the interest rate that they will actually be paying. Here are a few questions that you should ask yourself before thinking of buying a home. Is This a Good Time for You to Buy a Home? Buying a home is very expensive initially. If you wish to receive better rates and not be required to pay for Private Mortgage Insurance, your down payment will have to be at least 20 percent of the total loan amount. That can mean several tens of thousands of dollars for an average priced home. Besides the down payment, you will have to pay for inspections, and various closing fees, which can come up to a few thousands of dollars, as well. There are several alternatives to making a large down payment, but you will probably end up having to spend more elsewhere, and maybe end up spending more than you would have on the down payment. You might think that the large initial cost is the only expensive part of buying a home, but you also need to keep in mind that you will have to pay tax on your property and homeowners insurance. The upkeep of your home can also be very expensive, but this depends on many factors. Your home might need an expensive roof, plumbing or electrical repair, unexpected expenses that might take you by surprise. Do You Have Good Credit? You can probably qualify for a mortgage loan with a less than good credit score, but you will have to pay a much higher interest rate. A perfect credit score will most likely guarantee you the best current mortgage rates, but anything less and you will start to see those rates climbing. The difference won’t be that high, unless your credit score is lower than 700, but, over time, you will feel the difference in your wallet. If your credit score is lower than perfect, you might want to take a little time to try and improve your credit score before getting a mortgage loan. You can start by paying off other debt, and making sure that all your payments are on time. Is Home Ownership for You? Some people buy a home and end up feeling that they have made a mistake, that renting was better for them. Being a home owner comes with larger responsibilities, like taking care of the house, making repairs and maintaining it. Sure, you can hire someone to do it for you, but hiring someone for every little task will become very expensive, so you’ll be better off learning how to do most minor repairs and maintenance work yourself. If you are looking for a home that needs less maintenance and has a smaller chance of needing major repairs, then you should look at apartments. You will still be responsible when something breaks, unlike when renting, but it will be fairly low maintenance compared to a house. Are You Going to Live There for a Long Time? Like we’ve mentioned earlier in this article, buying a home comes with some pretty high closing costs. If you plan on moving in the near future, you will recover the money that you put down and the monthly payments, but not the closing costs. However, to build equity in your home, you will need to live there for a longer period of time. The monthly payments that you make in the first years will go more towards the interest, so the equity will build up very slowly. Selling your home after a short period of time can result in you losing money. Becoming a home owner is a dream come true for most people, but it comes with great responsibility, and a large number of expenses. Ask yourself the questions listed in this article before you start looking for a home, and find out if home ownership is for you, or if you would like to postpone it for a few more years. Home Warranty vs. 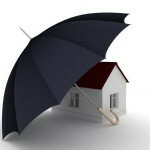 Homeowners Insurance: What’s the Difference? Buying a home is a big part of the American dream, and many people make becoming a home owner one of their primary goals in life. Being a home owner comes with a few responsibilities, one of which is making sure that your home is protected from damage that might occur over time. Home warranties and homeowners insurance may sound like they are very similar, but there are actually several significant differences between the two. For example, home warranties generally cover appliances, plumbing, electrical, and heating and air conditioning systems. Homeowners insurance, on the other hand, covers damage that occurs mostly to structural parts of your house, such as the foundation or the swimming pool. Both home warranties and homeowners insurance are designed to protect your home, but in different ways. Deciding between the two or choosing both to cover your home is up to each home owner’s individual preference. After becoming a home owner, the last thing that you want to happen is to spend more money because something is broken or is malfunctioning in your new home- that’s where home warranties come in. Especially if you’re a first time home buyer and have no experience maintaining and repairing a home, buying a home warranty will not only give you peace of mind, but possibly save you a large amount of money if something expensive in your home breaks. When buying a home, the home warranty could already be paid by the seller. Some home sellers in a buyers’ market choose to pay for the home warranty themselves in order to give more confidence to the buyer and to avoid being called by the buyer after closing because something in the house is broken or is malfunctioning. This differs from one seller to another, but you may also receive the home warranty from the real estate agency, as a gift, which is always a nice surprise. Depending on the chosen plan, home warranties can cover various systems, such as plumbing, electrical, and heating as well as appliances, such as stoves, ovens, and refrigerators. Home warranty companies have a group of contractors that they use when something in your home breaks. If the appliance or system cannot be repaired, the contractor will replace it and charge the home warranty company. When buying a home warranty, home owners must carefully read all of the documentation and find out what is covered by the warranty and what isn’t. Some policies may cover certain appliances, while others may charge extra for the coverage or don’t cover them at all. Homeowners insurance mainly protects your home from damage caused by rain, floods, fire, and wind, as well as vandalism and theft. Homeowners insurance may also help you deal with the financial consequences of injuries occurring at the property, particularly when the injury has occurred due to something being defective on the property. Homeowners insurance is generally required when you purchase a home with a mortgage loan. Lenders use homeowners insurance to protect themselves should a hurricane, fire, or other hazard occur and cause substantial damage to the property. Not all homeowners insurance policies are created the same, so they may cover your home for only certain things, while charging you more for extra protection. Some policies, for example, do not cover damage done by what is considered an “act of God”, like earthquakes or floods. It is up to each home buyer to choose between a home warranty and home owners insurance, unless they want to have both or are required by the mortgage lender to have the home insured. Having you and your home covered by both a home warranty and insurance will not be cheap, especially if you want to cover everything, but it will give you peace of mind and, should something happen to your home, maybe save you some money. Nature can be cruel and cause substantial damage to your home, so it’s always better to be safe than sorry. Being a home owner is expensive enough without having to worry about unforeseen events messing up your financial situation.